What might the Autumn Statement bring for JAMs? Tomorrow lunchtime the Chancellor, Philip Hammond, gives his first widely anticipated and heavily trailed Autumn Statement. Much has changed since the last major fiscal event, the Budget in March when George Osborne was still at the helm. For the new government, Wednesday will be a key opportunity to set out its stall in more concrete terms than we’ve heard over the past few months, and demonstrate that the focus on the domestic policy agenda hasn’t been lost of amidst the enormous task of implementing Brexit. We’ve been taking a look at what’s expected to be announced in the context of the Trust’s work with people and small business owners in debt and financial difficulty and what else we’d like to see. Having only recently reached a point where living standards are rising again following the last economic crash, this progress is now on shaky ground. Although predictions of post-Brexit economic turmoil haven’t materialised, the resulting uncertainty is pointing to a slow and gradual negative impact on growth. The OBR is expected to leave their growth forecasts unchanged for 2016, anticipating higher inflation and unemployment, but to significantly downgrade growth forecasts for 2017 (to around 1.3%) and 2018. The fall in the value of the pound, and subsequent inflation is likely to slow the wage recovery that has been so key for many of the people we help. At the same time consumer appetite for debt itself doesn’t appear to have changed much. Total levels of consumer credit continue to grow significantly, albeit at a slightly lower rate over the last few months. While borrowing itself isn’t a bad thing, borrowing to make ends meet on a continuous basis – an emerging new norm – is a real cause for concern for us. Hence we welcome the governments focus on JAMs, an unfortunate acronym that alludes neither to preserves nor traffic, but Just About Managing families. The people we support disproportionately fall within this category. Essentially, they are individuals and families who are just getting by, and who are a hair’s breadth away from financial difficulty – many of whom saw the real value of their income decline until recently. Struggling with mortgage payments, missing the occasional bill, often relying on credit , all it takes is something like losing a job, working fewer hours or even the gradual erosion of their budget position to push them into problem debt. Tax allowances – The tax free personal allowance is due to rise from £11,000 to £12,500 over the next few years. There has been some suggestion that this might be brought forward – or if not, the Chancellor will certainly be reminding people of it. 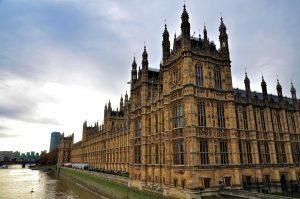 Universal Credit – There are £12bn in cuts to come in this Parliament for those on working age benefits, directly hitting the pockets of many of the JAMs the government are now talking about. Forecast inflation is expected to exacerbate this. That the Chancellor has already announced that tackling the deficit will run into the next Parliament gives him some lee-way here to reverse some elements of these cuts, up-rate some benefits in the short term, and/or support childcare subsidies. The Resolution Foundation has produced a good summary on possible changes here. Action of fuel duty and/or energy bills – This one is always well received. The freeze has been extended for six years in a row now though so hardly headline worthy. That said, fuel prices have gone up considerably since Brexit so the extension would certainly welcome. Equally action on energy bills, perhaps more of a consumer protection issue, would make a real difference to living standards for this group, particularly as we come into winter. Over a quarter of people who call the Trust with debt and money worries are behind on their energy bills. There is a lot more we’d like to see included here to benefit so-called JAMs too – if not now, then at Budget 2017.  One of the most common issues people contact us about is Council Tax debt. This is an issue that is more often at local authority discretion than central government. However, there are some steps the government could take to ensure that the JAM cohort are better supported here. For example, excluding those who are on Council Tax Support from enforcement action – these are residents, who the authority has already identified, using their own local criteria, as requiring additional support – and yet too many go on to receive the knock of the bailiff at their door. Many local authorities already do this – with Birmingham City Council the latest to announce the move – but the pace of change is too slow, and here at the Trust we have been lobbying ministers to intervene. Equally central government (in particular DWP and HMRC) could do more themselves to improve cross-government debt collection practices – again often from this JAM cohort. For the self-employed too, who now make up more than 14 percent of the workforce, the government could ease the pressure somewhat by shifting the introduction of quarterly tax returns back, and explore better job security measures around savings and pensions. To what extent the Treasury will deliver their stated ‘targeted help for ordinary working families’, and whether what is announced will be matters of style or real substance, we’ll know in the aftermath of tomorrow’s Statement.